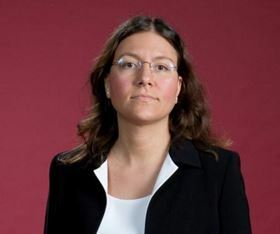 Diana Lados, assistant professor of mechanical engineering at Worcester Polytechnic Institute. The award recognizes young metallurgists for "exceptional promise of a successful career in the broad field of metallurgy and materials science." Lados was awarded the price for her significant contributions to materials science, including her accomplishments in establishing iMdc (Integrative Materials Design Centre), a research centre for improving sustainable materials process component design, in 2007. "Professor Lados brings great energy and enthusiasm to all of her activities," said WPI provost John Orr. "I have tremendously enjoyed working with her as she launched the iMdc." Lados also recently received the 2010 Sigma Xi outstanding junior faculty researcher award at WPI. She has also appeared in Foundry Management & Technology magazine's list of Metalcasting's Next Generation of Future Leaders for 2009 and received the Orr Best Paper Award from the materials division of the American Society of Mechanical Engineers (ASME) in recognition of research excellence in metallurgy and materials science.